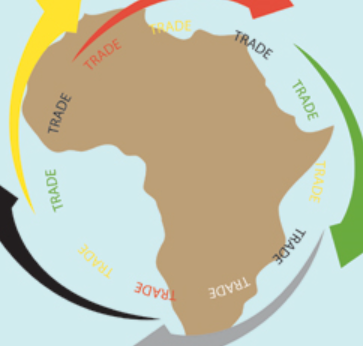 Africa has the ability to do intra-trade from within but has never taken notice of this economic potential. What is wrong with regional integration in Africa? The answer is a lot simpler than just policy challenges among African countries. The best answer and example is trade and tourist travel in Africa. If one has tried to cross the border to trade or visit another African country, the bad experience is indeed shared by many. Right at the border, the traveler is treated like a skunk, a criminal, or a trouble maker of some sort. Wasting travelers time is the best part of a travel/custom official’s past time. In fact it is so well done you would think the government offers a commission for this. We have seen large multinational organizations that travel between countries every week get caught up in a complication at the border as if they are in transit for the first time. To make this worse, we know several business people who have stopped doing business through the border because of the stress involved. Truth be told, in business there are deliverable targets which come with penalties (If I need fertilizer for my crops, I don’t care about your border issues). Travel/customs officials at the border really don’t care. As far as they are concerned, it is not their problem. You would think they live in bubble, not part of the country and therefore do not need contribute to its GDP. Now, if this is the attitude of travel/customs officials then just imagine how bad it is with the very policy-makers that employ this group. We should not be surprised that Nigeria is the largest oil producer in Africa, yet it refines its oil in Europe (South Africa was obviously not considered for this work). But this one is not even the most concerning case. The concerning fact is that every single African country’s largest trade partner is either in Asia, the Americas, or Europe.